Who else is of an age that the very mention of ‘rock buns’ sends shivers through you? 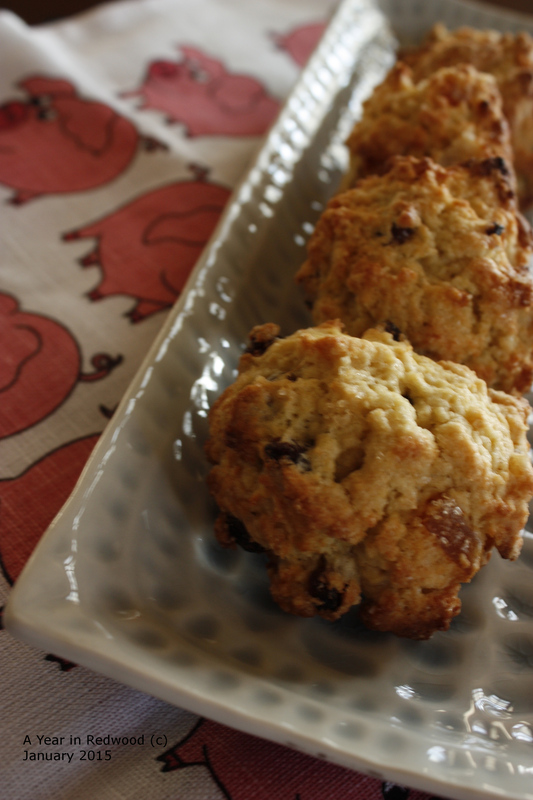 I think rock buns were the very first thing I made in Domestic Science class at school….. way, way, way, way back when. Oh the memories, of struggling through wind and rain on the bicycle, with the bag of ingredients on the handle bars!!! And rock buns, they left an indelible ‘yuck’ mark in my brain. So, why you might ask are we talking about them today? Well the Lord only knows! I got a notion a couple of weeks back that I’d like to try making rock buns. Senility? Madness? Who knows? I made them folks, and they were delicious. Nothing at all like my memory (or my neighbour’s either…. she called in for a cup of tea!). Our conclusion…. we used crappy ingredients…. margarine, cheap horrible candied peel – remember how sticky and horrible it was? This reincarnated version of rock buns is the business. Try them and see! Preheat oven to 200 deg. C/400 deg.F/Gas 6. Line a baking sheet with parchment. Sieve flour and baking powder. Rub in the butter until it looks like breadcrumbs. Add the sugar and dried fruit. Finally add beaten egg and milk. Put small portions of mixture on tray about 1.5 inches apart. Sprinkle some granulated sugar over each one. Bake in oven for 10 – 15 minutes. Leave to cool on tin for 5 minutes before transferring to wire tray. All schools must have the same baking agenda! Did you like them back then? For some reason rock buns are the ONLY thing I remember making in Domestic Science! We had to have made other things, but I don’t remember any of them! And like you I don’t remember those buns being particulaly inspiring. These do look delish, though – maybe it’s time for me to give them another go! It seems we all have the same memory…. and I’ve still no idea why I decided to revisit Rock Buns…. but these are nice… trust me!